Pra Somdej Pim Pra Pratan Kha To - Nuea Sao Mai Bote Luang Phu Rian (2419 - 2513 BE) - Carved from the wooden pillars of the Uposadha Shrine Room of Wat Nong Bua, in Kanjanaburi. The amulets were created from this Sacred Wood because the restoration and rebuilding of the Uposadha Shrine Room at Wat Nong Bua, required the pillars to be replaced. 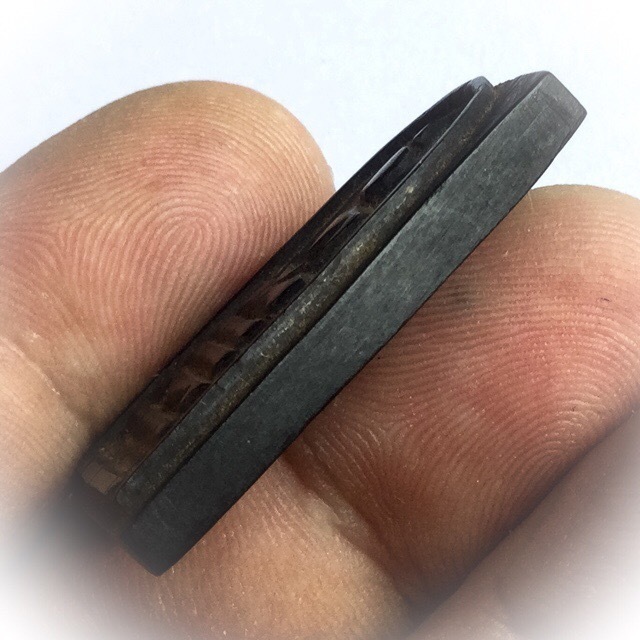 And so, the old wooden pillars were thus removed, and the Sacred Wood was used to carve Pra Somdej and various other amulets, to give to the Devotees. The truth is, that this wood has received the vibrations of the Buddhist Monks chanting every prayer session mornings and evenings throughout the time the old Uposadha was in existence, and is considered an immensely Sacred substance in its own right, even without being carved into amulets. 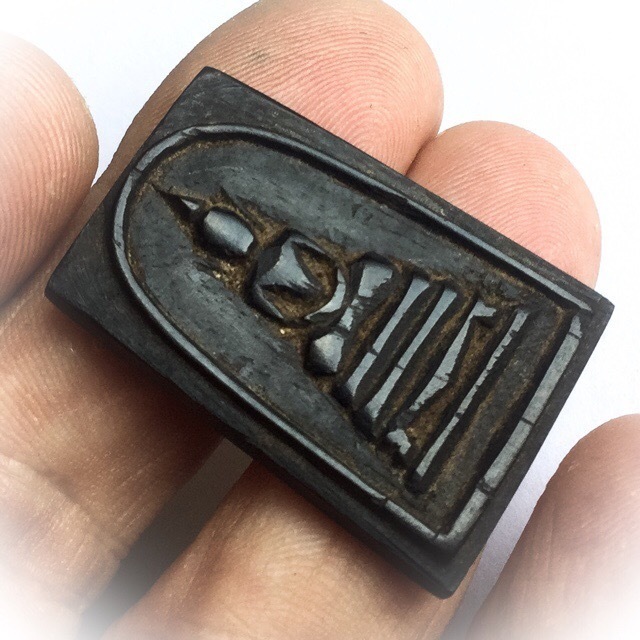 This is the small model measuring 3 x 2 Cm, and is slim, most recommendable for ladies, children, or for men who prefer a smaller size amulet. Many devotees even took remaining pieces of wood which were standing around in the temple, and put them in their homes, or gave them to local artisans for carving, and give to their Personal Gurus for further blessings. 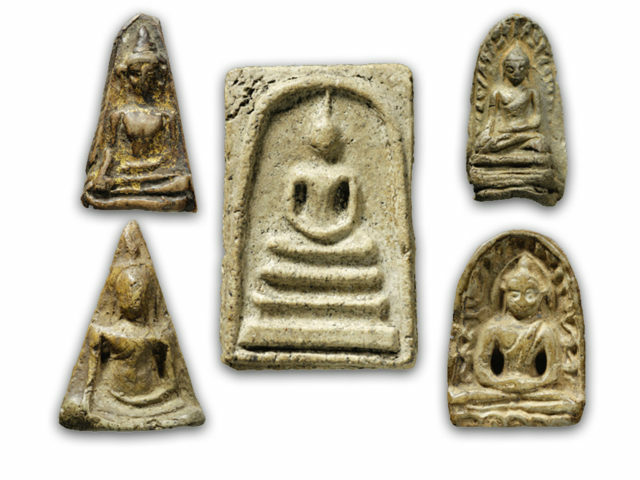 It is said that Luang Phu Rian performed the carving of his rare and famous Pra Somdej Mai Sao Bote wooden Shrine Room Pillar amulets himself, in the year 2494 BE. Luang Phu saw that the Uposadha Shrine Room was becoming delapidated, and in need of constructing a new Uposadha. 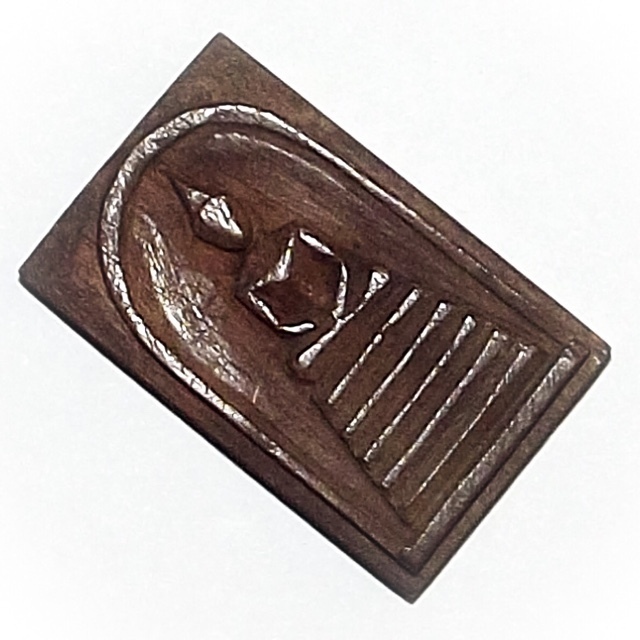 The amulet is famed from tales of those devotees who posessed one, for its power to increase success in Business sales, selling Insurance and sales person professions, and Services. 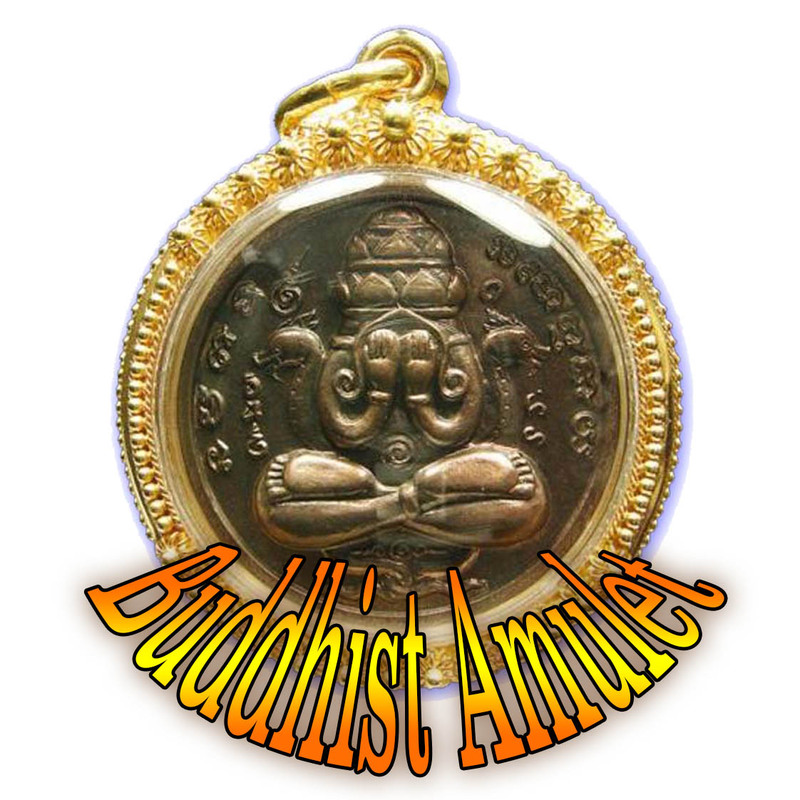 The amulet has also been said to posses the power of Metta Mahaniyom, Maha Sanaeh seductive influence, Kong Grapan Chadtri and Klaew Klaad. Luang Phu Rian, of Wat Nong Bua, was the Apprentice Master and Wicha Inheritor of the great Luang Phu Yim of Wat Nong Bua. 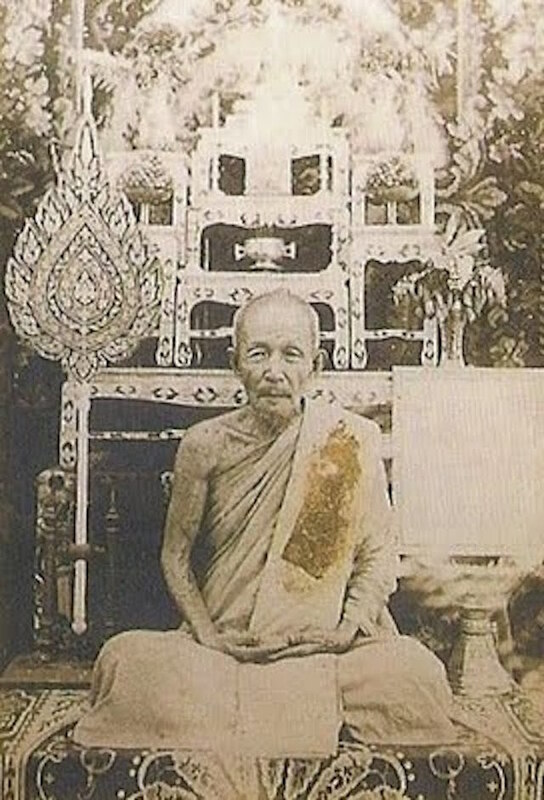 Luang Phu Yim was one of the Great Master Gaeji Ajarn of Olden Days of the Kanjanaburi Province. 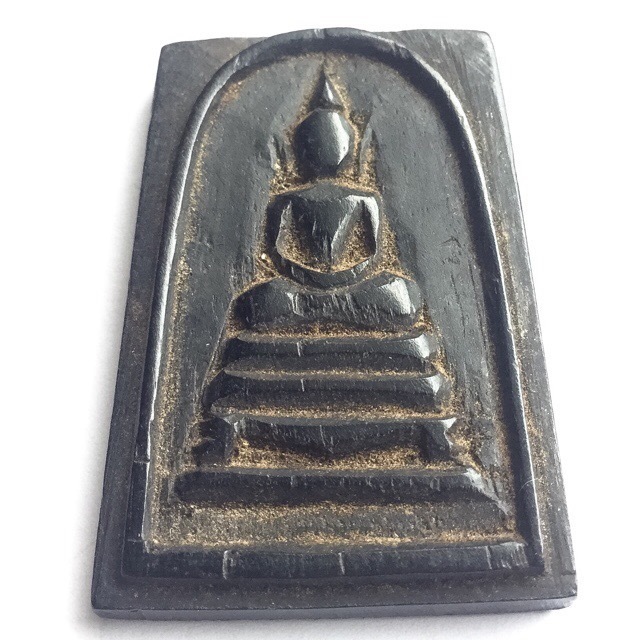 Luang Phu Yim would appoint Luang Phu Rian, to Invoke the Kata Akom Incantations, and make the Inscription of Khom Agkhara Spells on the surface of his talismans and amulets in his stead. After Luang Phu Yim had bestowed all of his Wicha upon Luang Phu Rian, Luang Phu Rian then became immensely famous for his powerful Magic. 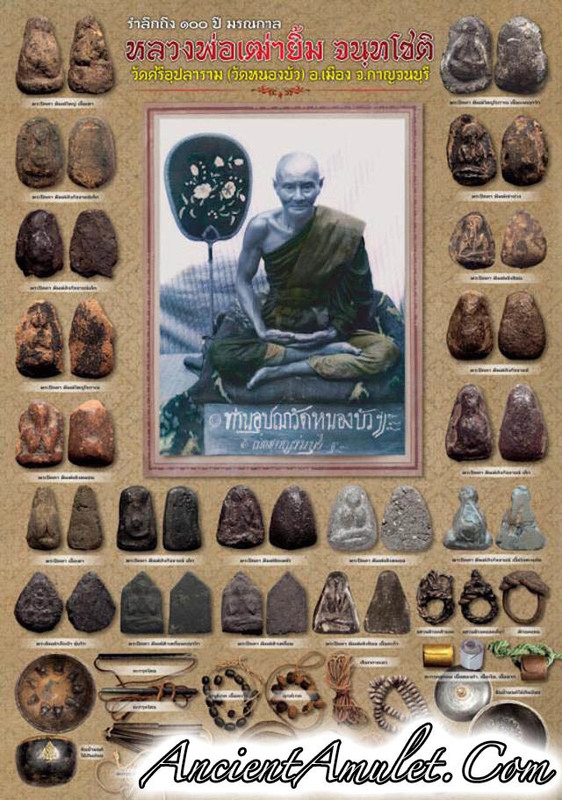 His amulets received immense popularity with the local devotees, throughout 58 Years of Ordination, until his final passing. 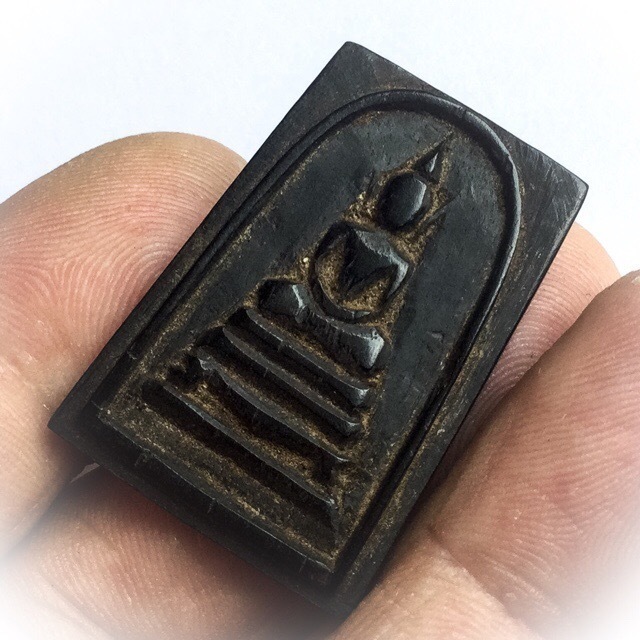 It is said that Luang Phu Rian performed the carving of his rare and famous Pra Somdej Mai Sao Bote wooden Shrine Room Pillar amulets himself, in the year 2494 BE. Luang Phu saw that the Uposadha Shrine Room was becoming delapidated, and in need of constructing a new Uposadha. Luang Phu saw that the wooden pillars, which were already over a century old at the time, had received the powerful vibrational energies of the chanting of Luang Phu Yim and the Sangha Monks who had performed ceremonies throughout the century of its existence, and were full of Buddhakun Power from the Incantations of Luang Phu Yim and the prayers of the Monks. 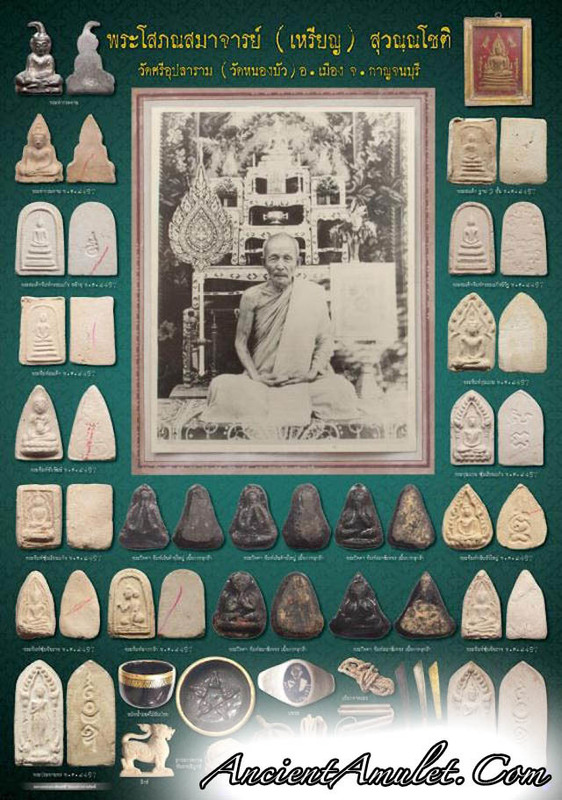 Below is a picture of Luang Phu YIm and a number of the great pantheon of his amulets, for you to also study and appreciate, and gather knowledge about the Pantheon of amulets of these two great Consecutive Guru Master Monks of Wat Nong Bua, in Kanjanaburi. Recommended Uses:All round Auspicious Blessings, Protection, Anti Black Magic, Business Success.